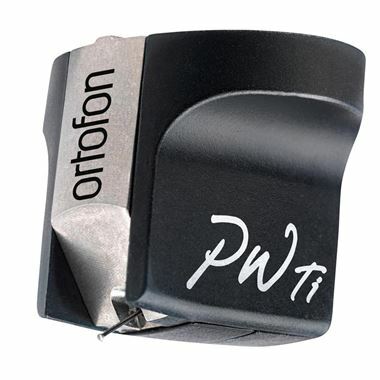 Ortofon MC Windfeld Ti Moving Coil Cartridge. Available with Online Finance and Free Delivery. The MC Windfeld Ti replaces the original MC Windfeld in Ortofon's Exclusive Series of products, providing a series of improvements that enhance the technical and sound performance abilities of this popular high-end offering. The MC Windfeld Ti is a moving coil (MC) phono cartridge built into a new and improved cartridge body. Sharing obvious similarities with the high-end Cadenza Series, the central band of the MC Windfeld Ti body is made using a revolutionary Selective Laser Melting (SLM) manufacturing technology, also used by Ortofon on the flagship MC Anna cartridge. The technology uses Titanium to increase the overall rigidity of the cartridge body, eliminating unwanted vibrations within the cartridge and increasing the dynamic capability. Like the flagship MC Anna cartridge, the MC Windfeld Ti makes use of “the finest diamond in the world”. The Ortofon Replicant 100 boasts a thin and light profile with an impressively long vertical contact surface, making it as close as possible to an original record cutting stylus. By specially polishing the stylus and then mounting it onto a boron cantilever, the cartridge can offer remarkable transparency, speed, and responsiveness beyond that of any other combination. The stylus and cantilever are connected into a compact, lightweight generator system based around a powerful neodymium magnet and Ortofon's Aucurum 6NX oxygen-free copper coil wire. The specially designed armature used inside the system has low magnetic properties for uninhibited tracking of the cantilever’s movements. An additional Field-Stabilizing Element (FSE) is also placed inside the system to prevent the magnetic field from fluctuating, which allows for improved channel separation, zero transmission loss and greater sound-staging with more space between the performers. The cantilever also passes through a suspension system aided by Ortofon’s Wide Range Damping (WRD) system, in which a small, heavy platinum disc is sandwiched between two rubber absorbers with different properties for exceptional tracking performance and perfect damping throughout the frequency range. The result is a distortion-free performance with an exceptionally linear frequency response. Thanks to these advanced properties, the MC Windfeld Ti is a cartridge that delivers a lifelike, dynamic and open sound with exceedingly clear midrange. Yet even though it retrieves the finest micro-dynamic details, the whole performance is delivered in a delicate, extremely musical tone. Installation is made easy thanks to the clear markings on the cartridge rear, and the body’s unique shape on the top panel creates a rigid, three-point contact with the tonearm for perfect mechanical integration. The optimized weight (11g) and moderate compliance (13µm) makes the MC Windfeld Ti compatible with a wide variety of high-end tonearms. Similarly, the low output impedance (7?) and moderate output voltage (0.2mV) makes the cartridge compatible with a wide variety of MC pre-amps and step-up transformers. On top of the advanced mechanical design, the MC Windfeld Ti has also been engineered to look visually appealing. The matte-black housing sits either side of the titanium core, and is accented on one side with Per Windfeld’s characteristic initials, including a new “Ti” extension to signify the latest technical developments. When connected into the right system, the MC Windfeld Ti will sing like nothing you’ve heard before for the price, with a level of detail and musicality that will make for many happy hours of vinyl playback.